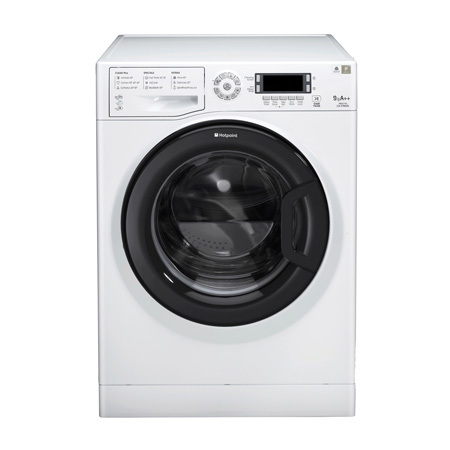 A Hotpoint Super Silent washing machine is equipped with a specialised motor which dramatically reduces noise levels during the wash cycle, so that youll hardly know its working. The Anti-Allergy programme washes in-depth without stress to fabrics and removes most of the allergens that irritate skin. Dirt and allergens are removed in two separate stages- the heating up of the water at the start of the cycle and the subsequent maintaining of the temperature at 60 C.
A slightly different way of achieving the 50% to 70% energy savings of the Eco Cycles on Ultima and Aqualtis washing machines and Aqualtis washer dryers. Selecting the Eco Wash Function option automatically modifies the Cotton, Synthetic and Fast Wash cycles to give you the same great results. New anti-stain technology removes stubborn every day stains. At the touch of a button it cleverly manages water, agitation and temperature to ensure the hardest of stains are lifted, whilst always protecting fabrics.